We continue with our guest series by talking about bigger picture about planning – this month with Crystal. People struggle with getting everything done daily. While working, they usually face endless meetings, important assignments, or last-minute tasks. Many of them are busy all day long, but at the end still have a feeling, like there is no progress. Thus, it is important to know how to schedule your time. Having your day organized will allow you to feel less stressed in all areas of life. Take a minute to bring some small changes to your daily routine, and it might help to save you time. We usually waste our time ineffectively doing unnecessary things. If you wish to organise your life, the first thing we think to do is to buy a diary or planner. It will help to organise better all the activities and events during the day. You can schedule your tasks, to-do’s, important responsibilities and appointments. After writing them down, you may be able to focus and dedicate your full attention to each task. Scheduling can help to avoid taking more job than you are able to handle. It will keep you on track and make your life much easier. When it comes to choosing the best planner, there are tons of different options to consider – daily planner, weekly planner, monthly planner, calendar planner, Plum Paper, Agenda Planner, ring-bound or disc-bound. Handmade or not? Large or small? How to choose the one that will fit all your needs? The only right way to find out whether such notebook will work for you is to start using it. Try to schedule it and soon you will understand whether it’s the exact thing you need. Planners can be expensive. If you are not quite sure which one do you need, then start with a cheap option. What size do you need? Should it be compact to take it everywhere with you? What kind of design do you like? What kind of planner didn’t work for you in the past? Understanding what type of planners works better for you, can help with organising everything. Looking for a more robust walk-through of finding the best planner for you? 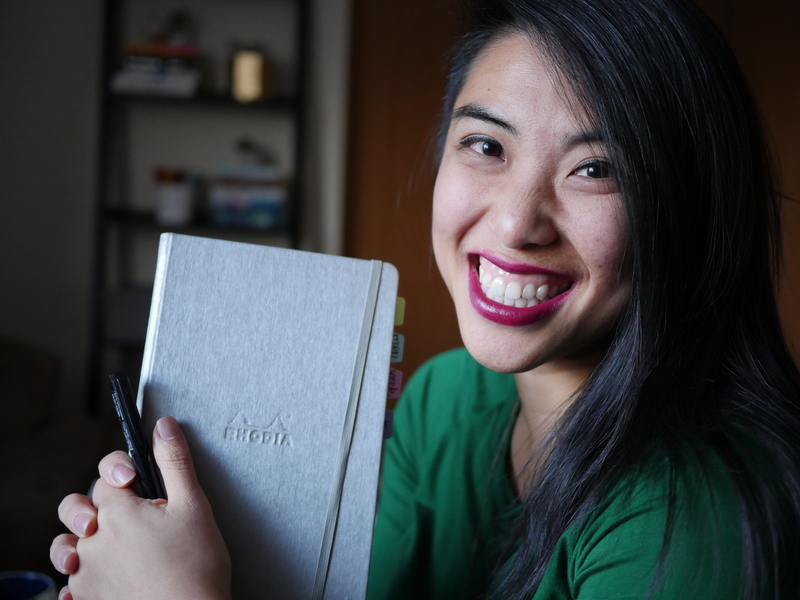 Try out my class with Brit + Co, Unlocking Your Planner Potential! What are the best planners for students? We recommend getting a notebook if you are a student as it’s important for you to make sure you are completing all of your homework. Whether you are in a high school or college, your life is full of different activities. There is so much going on that it can be hard to keep track of where you are supposed to be and when. A student planner by Plum Paper would be perfect for any student, who is trying to balance with their course load. You may start with any month during the year. Each week is organised by day and class period. With the study planner, you can break your big goals into little tasks and set the deadlines. Do not give up if you are failed with your time limits. You can use EduBirdie service to get back on track easily. Erin Condren academic planner is even more specific. Instead of having just a schedule and a note section, there is a place for the information in additional sections. You can put down everything that you need to know about the classes for every single day of the week. This one can be a little pricey and could be vertical or horizontal! Rifle Paper Co. Academic Paper has an amazing botanical design with crispy pages inside, which will inspire you to fill them in immediately. The monthly and weekly pages are good for writing down all the assignments, to-do’s and long-term projects. This is a horizontal layout planner with checkboxes for tasks! Moleskine Pocket Weekly Planner proposes two pages to make a plan for each week, which allows balancing the life easily. Each pair of pages lets to write all of your plans and assignments on one side and your weekly goals on another. If you have important things to manage at work, then a personal planner will be the best choice for you. Its sections include note pages, meeting notes, to-do lists, and blank pages, which you can customise on your own. A personal planner allows to keep the mind clear and makes you sure that everything is under control. Life can be overwhelming from time to time, and it is hard to find your balance in it. But planning can help you to become more productive and less stressed. Successful people know how to use a planner for work and how to make sure their personal lives are going the right way. The Dailygreatness Planner may improve your thinking habits as it was designed to help you with personal growth and organisation. The weekly check-ins and challenges will keep you on track with your goals. It is a must-have if you are starting a business. If you can’t find a planner that combines all the features you need, then create it yourself! You can find plenty of different calendar pages online, which you can download and print. You may not only choose a colour of your paper and its quality but also bind the pages the way you like. Try to make the pages by drawing in a blank book or using your computer skills. You can look for some ideas on Instagram, Pinterest, or YouTube. In this case, it helps if you know exactly what kinds of layouts you like to re-create and assemble on your own! Why does it important to plan? It will minimise your stress. Planning even the smallest steps like a menu for dinner, or taking a jacket to a dry-cleaner or ordering a book, will let you sit back and chill. A planner is not going to solve all of your problems, but it will help to organise all the information, which you are trying to store in your head. It is designed to take control of the schedule, meetings and tasks. Notebooks are unique as the people who use them that is why everyone formulates their plans in their own way. Finding the best one for your schedule is a perfect approach to have everything you need in one place. If you write down all the important things, it will help the brain to remember all the important things. Create a planner to schedule all that you keep in mind and to become more productive. What helped you figure out your planning system? What was a surprising thing you learned about yourself in the process? Let us know down below! Any ideas for a certain planner for a recently retired school librarian? Love the ideas! As student, I like using Blue Sky’s teacher planner and am planning to move to May Designs’ Teacher planner. I also bullet journal. Great post, planning and writing things down is key to productivity and getting things done. Some of the good notebooks/planners which deserve mention are LEUCHTTURM1917, TWSBI notepads and Kokuyo Systemic.